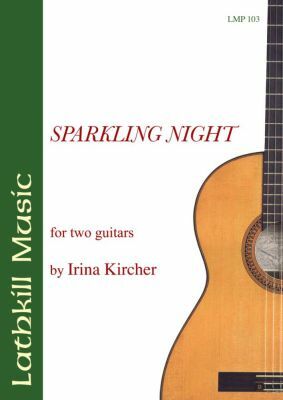 Sparkling Night is a set of three pieces which are meant for students of grade 3-4 standard. For Eternity is a love-song for two eternal lovers and the title piece Sparkling Night actually should be imagined as wedding music, being played from the moment the bride enters the church until she reaches the altar. Both pieces are dedicated to Alfonso Montes. Mambo's Rag is dedicated to the familys Jack Russell terrier Mambo, who, coming home from a walk in the woods, often runs, rather triumphantly through the house with a stolen rag!